You can clean the area. A clean workspace can make it look larger and more productive. You need only put back what you absolutely really need. Space is at a premium. 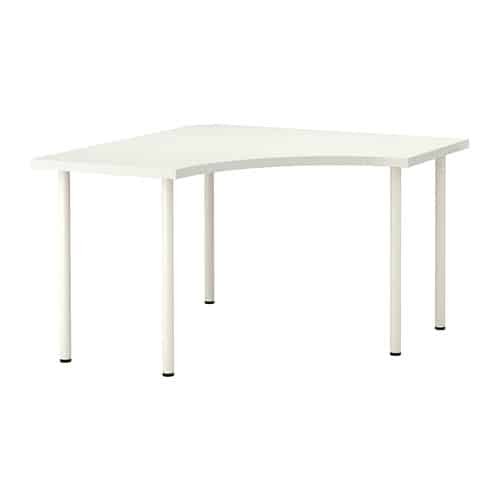 Obviously you want to put in a desk that fits, and for smaller furniture you are sure to find something at Ikea that works for you. This one you sit in the middle, and you have a little space on your left, and a little space on your right. Unfortunately for this orientation you aren’t maximizing the table area available. Also if need to place a computer monitor on your desk you will lose the space behind it, where the back corner is. What looks like a cheap, stylish desk, could be a real pain if you had to work at this regularly. At this desk you face the towards the long edge, giving you less space on your left, but substantially more on your right. That’s great if you need to keep an open book, notes, trays, and equipment such as your computer tower. 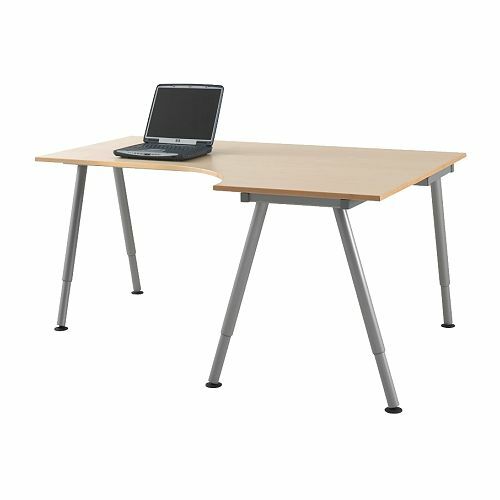 The desk also comes in a left handed variant, has height adjustable legs, and various accessories are available. Although more expensive than desk 1, it is a lot more practical and has obviously been designed by somebody who thought about how people will use the desk in a working environment. Think vertically for shelving. Go as high as you can reach and maximize the number of shelves available. 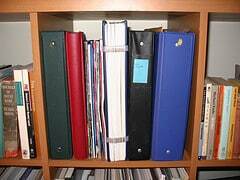 Also consider keeping shelving ‘open’, rather than closed. With closed or boxed shelving you will lose some inches in the frame, as well as lose a lot of flexibility in to what sized objects you can place up there. In a small corner you are likely to need more lighting than that bulb on the ceiling behind your head. Consider going for a small halogen or LED light for your desk – either of which will provide a lot of light in a small package. Just make sure the base is small so that it doesn’t take up valuable square inches of your desktop! 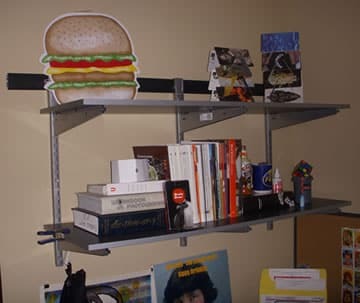 If space is really tight you could mount something underneath your shelving, or even just rest something on top. What is important is that you can comfortably read at your desk and not feel like your eyes are strained. Doing so will just make you tired and less inclined to get to work. It’s easy to let things slip and get a little messy around the home office. A notebook here, an article there, a few pens there, and before you know it… woah! No room to work. Here’s an idea to help you keep control of the situation: make a time at the end of each week, just before you knock off, to clean up the area. It need only take 5 minutes, tops. If you have a calendar on your phone or computer that’s great: set it as a recurring event. Then, when you start work in the new week you’ll have a workspace ready to go and no excuses to getting stuck in to the work that needs to be done! Creating a workspace in a tight fitting space has some extra challenges, but it is far from impossible. You just need to keep things really simple and eliminate as much as you can so that you are working with just the necessary furniture and tools to stay productive. Please feel free to share your experiences with a comment below, perhaps you achieved something amazing out of an impossibly tight spot in your home?